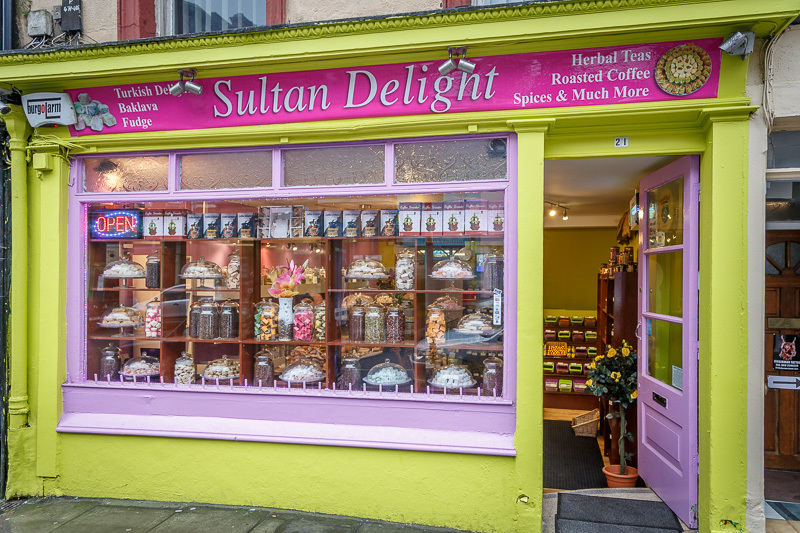 Sultan Delight is a shop on MacCurtain Street, Cork, near the Everyman and near where the famous Hadji Bey had his shop until the 1970s. The shop sells chocolate, Turkish Delight, teas and coffees, spices, cakes, biscuits and more. The chocolate on display is delicious! Go pay them a visit and look around. It’s wonderful to see such a selection of food in a small shop, you’ll love it!